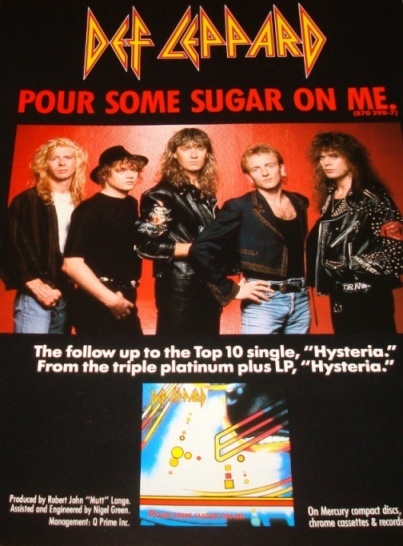 Def Leppard's classic single Pour Some Sugar On Me peaked Number Two on the US Billboard Hot 100 chart on this day in 1988. The fourth North American single from the 'Hysteria' album was released on 6th May 1988. At least this was the date printed in one of the single sleeves. It entered the Hot 100 chart on 16th April at Number 93 and after 14 weeks would peak at Number Two on 23rd July 1988. 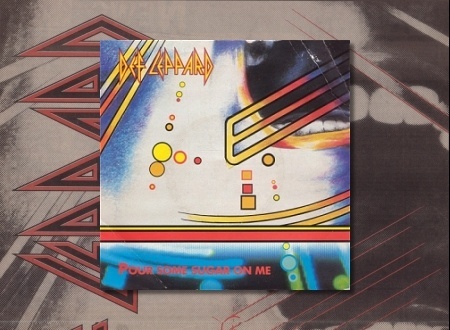 This followed the band's first ever US Top Ten single with 'Hysteria' in March 1988. The song entered the Top Ten on 25th June at Number 10 and would spent seven weeks there out of it's total 24 weeks on the chart. A chart run that lasted from mid April 1988 to early October. 24 weeks still remains the band's longest run on the Billboard Hot 100 chart with 'Love Bites' in second place at 23 weeks. 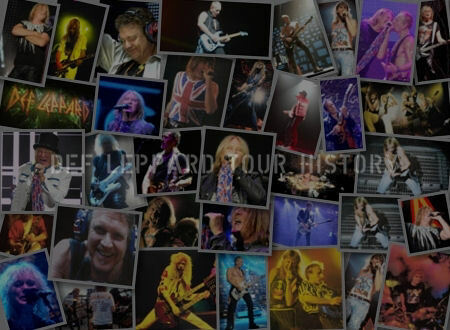 Later described by the band as the song that helped to sell an extra four million copies of the album during it's chart run and making the band one of the most popular in the world during the summer of 1988 alongside Guns N' Roses. 'Love Bites' would go on to do even better by reaching Number One in early October 1988 as the tour was ending. Richard Marx was at Number One on this day with his 'Hold On To The Nights' single. Other rock acts on the chart in the same week included Cheap Trick, Poison, Aerosmith, Guns N' Roses and Van Halen. 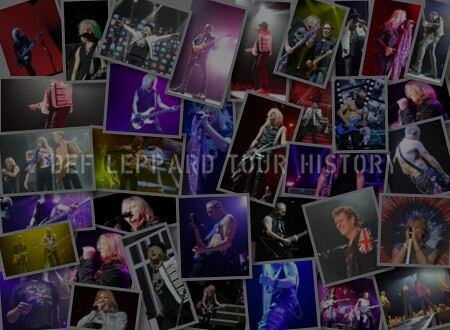 The 'Hysteria' album reached Number One on the Top 200 chart on the same day. 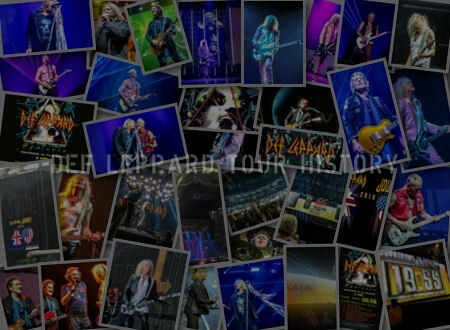 "The Hysteria album was nearly finished. We'd spent almost four years recording it, and were sick of it - we just wanted to get on stage and rock. But then Joe comes up with a rhythm and an image of a song. Mutt knew he had something, and that it could be the biggest song of the Eighties if we did it right. 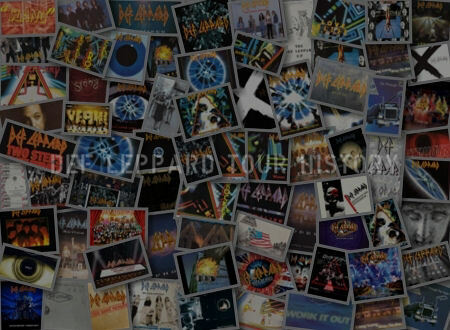 We wanted the song to be a variation of "Rock of Ages." We incorporated some of the rap stuff that was new and popular at the time, but took it a step further and kept it rock and roll." "It was the best accident ever to happen to me. I’d had the chorus in my head for a while. Towards the end of the ‘Hysteria’ sessions. I began playing around with it on an acoustic guitar in the control room. When Mutt Lange heard what I was doing. His eyes burned a hole in the back of my head. 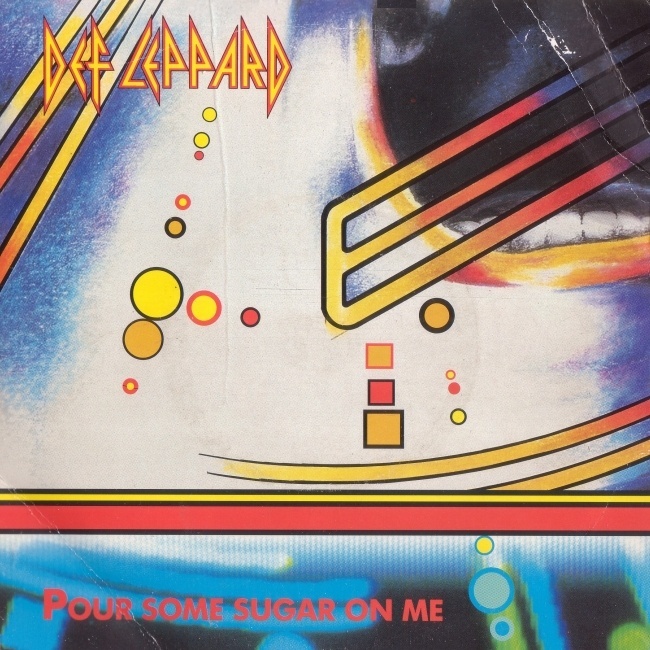 We stopped the song we were working on and put ‘Pour Some Sugar On Me’ together instead. And it more than paid off. Shifting four and a half million albums for us in about three months." "It was the fourth single to be released from ‘Hysteria’. And at that point we hadn’t even recouped the recording costs. Kinda pathetic. If you think about it. But it had an international feel and we believed that it’d be a hit. Even so, the way it surged up the charts was shocking. It actually took off at first as a consequence of being requested in the strip clubs, believe it or not."